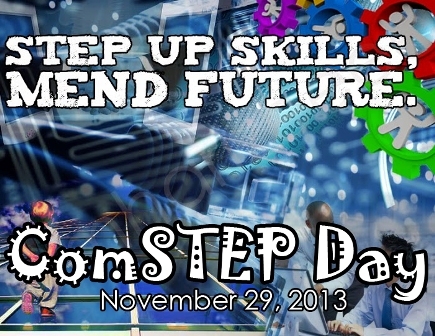 The Computer Students, Technologists and Entrepreneurs of the Philippines (ComSTEP) will hold its annual ComSTEP Day with the theme “Step Up Skills, Mend Future” on November 29, 2013. Students will compete in the different multimedia arts and skills competition including Adobe Photoshop Abstract Design, Electronic Poster Making, Character Drawing, Photo Contest, T-Shirt Designing, Music Video Making, Documentary Making and Short Film Making. The Techno Quiz, Techno Dance Contest, CosPlay, Dish Gardening, Experimental Cookery, Fruit & Vegetable Carving, and the Costume Design and MakeUp. The annual search for Mr. and Ms. ComSTEPTwill highlight the ComSTEP Day. The different competitions aim to enhance the students’ skills both in multimedia and non-multimedia aspects. Rubrics and mechanics of the different competitions are posted on the ComSTEP bulletin board and Facebook Page. Entries for online events are posted in the ComSTEP Official Facebook Page. Visit www.facebook.com/ANSHS.ComputerSTEP to view the entries. Posted in Events, News and tagged COMSTEP, ICT.